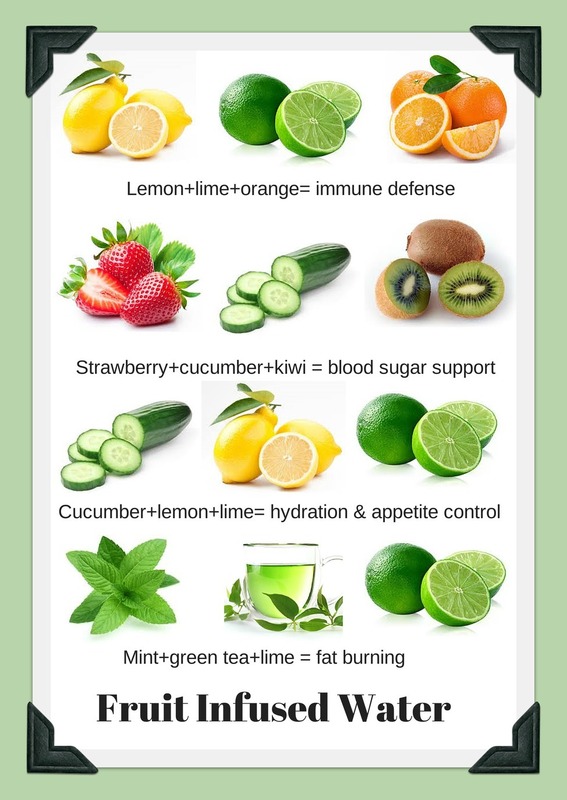 Great combinations for fruit infused water….. I don’t drink enough water, there I admit it. I tend to reach for soda or sugary juices when I ought to be reaching for water. Therefore, in an effort to find a palatable way to drink more water I started looking up recipes for fruit infused waters. During my research, I read that women should drink 2.7 liters of water a day and men need 3.7 liters. That seems like a lot of water to consume in a day. Bland water is ok if you’re working out hard, or really thirsty, but if you are just drinking it throughout the day, bland water would be unappealing I think. Mixing up some fruit infused water would make drinking the recommended 2.7 liters a lot easier. The one fruit combination that most people think of is lemon or lime. While that is a great combination, it can get old after a while. 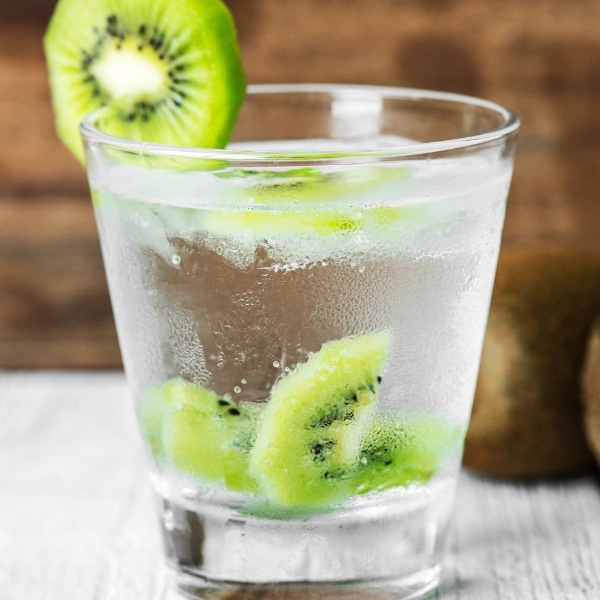 Instead, infuse water with a host of other fruits and veggies. One of my favorite combinations is cucumber and mint but even I can tire of it. That of course led me to find new recipes. I discovered certain combinations help with certain ailments making them just another reason to indulge. Water alone is good for you, but fruit infused water is better. Infuse 12- 16 ounces of water with any of these combinations for a deliciously flavored water. Mix green tea + mint + lime for a water that aids in fat burning, digestion, and headaches. Strawberry + Kiwi + Cucumber helps with blood sugar support and digestion. For help with hydration and appetite control infuses water with cucumber + lemon + lime. Lemon + lime + orange infused water aids immune defense and heartburn. There are many other options too. Blackberries and raspberries can be muddled and infused with water. For a little fizz add in club soda. I have taken to using several mason jars with lids and filling then with water and fruit before beginning my day.